v protected memory. This is often an indication that other memory is corrupt. Select Options in the AVG main window and then click Advanced settings... in the menu. 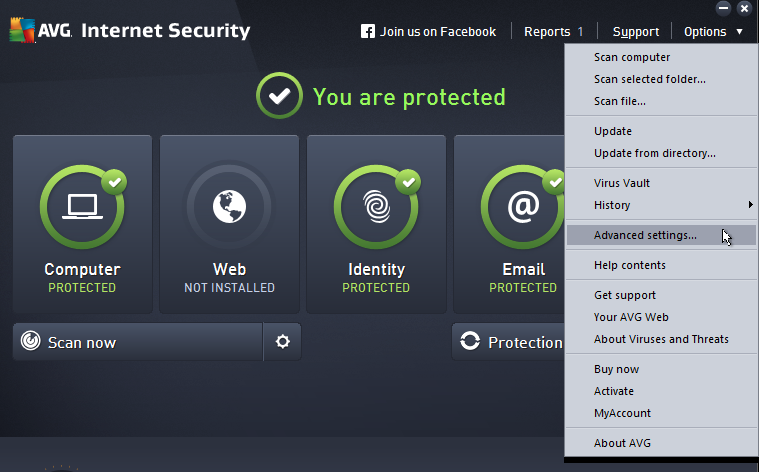 In the Advanced Settings of AVG Internet Security, go to the Exceptions section. Add a new exception using the Add exception button. Select the Application or File type, mark the Even when the file has been changed or updated option and keep other options marked. You need to select the file you won't test. In this case, it is eWayAgent.exe and you can find it in the main folder of eWay-CRM. When you confirm new exception, you will see it in the list of exceptions. Confirm your choice and launch MS Outlook.